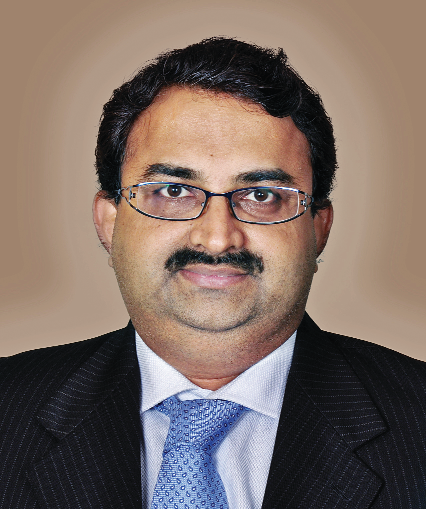 Sailesh Raj Bhan is the deputy chief investment officer (equity investments) at Reliance Mutual Fund. He tells Falaknaaz Syed, in an interview, that after many years, corporate earnings are likely to surpass nominal GDP growth in FY19 and many sectors that had faced challenges in the last three-four years like corporate banks, healthcare have bottomed out from an earnings perspective. The market looks nervous ahead of the interim Budget account. Where do you see the market in 2019? We believe as the noise over few events die down, market focus will shift to fundamental factors like corporate earnings, lower interest rates and inflation, pace of GDP growth etc. Post a reasonable correction last year, market valuations are looking far more reasonable versus last year. Further for most of last year we witnessed extremely narrow markets with returns being concentrated select benchmark heavyweights which is expected to reverse as market become more broad based. We believe corporate earnings which can potentially deliver mid-teen returns over the next 3 to 4 years is an important trigger for the market. How do you read the third quarter corporate earnings? Is a revival happening? Quarterly results for the September quarter-end continued to reflect steady improvement with more sectors participating in the growth. We believe that after many years, corporate earnings is likely to surpass nominal GDP growth in FY19. Our estimate is that many sectors which have witnessed challenging last three-four years like corporate banks, healthcare etc have bottomed out from an earning perspective. The sales growth in first half of FY 19 was also very encouraging. We believe this earning revival trend is likely to sustain and will be healthy from a medium term perspective. Do you expect the RBI to cut policy rate on February 7 as IIP numbers came weak while inflation has also fallen to a 18 month low? The RBI in its last policy, clearly sounded ‘Neutral to Dovish’ with higher probability of ‘Change in Stance’ in upcoming policies, provided the upside risks to inflation do not materialize. Given the current growth – inflation mix pointing to slowdown in growth and strong disinflationary impulse assign a higher probability for a prolonged pause in interest rates based on the evolving macro trends, INR Currency movement as well as commodity price movements and its negative impact on future CPI trajectory. The chance of a rate easing cycle commencing in next 12 months cannot be ruled out if actual Inflation prints comes in line with RBI’s revised projections. What is your view on the NBFC sector? The NBFCs had a very good run in the last 3 to 4 years before the recent correction, given the challenges in the banking sector which created a very good space for NBFCs to lend and grow. In that phase, there were many companies with strong capabilities doing exceedingly well and companies with average capabilities getting a good reward in the market. It was kind of a semi bubble in NBFC companies at that point of time. However now with changed business environment with no more easy money available for lending, NBFCs having strong retail presence and robust credit processes can manage the credit market volatility. NBFCs play an incredibly important role in the system and those one which have an advantage in terms of retail distribution, better risk management practices have a good long term opportunity. Within the universe of NBFCs our focus has been on fast growing retail focused businesses in less competitive asset markets. Domestic growth dependent sectors like corporate lenders, engineering companies and select rural demand driven businesses are well positioned. On the export front, IT and Pharma can benefit from rebound in growth and improvement in sector conditions. Secular growth entities like retail lenders continue to benefit from increase, demand for retail credit and market share gains. What is your outlook on foreign fund inflows in India? There is growing consensus among experts that this year developed markets especially the US may witness moderation in growth. Also in line with the same US dollar may not strengthen as much as in the recent past. This in turn can lead to a likely reversal of flows from developed markets into emerging markets including India. Hence, we expect improved FPI inflows, especially after the political uncertainty subsides post the general elections. What is your reading now of the mid- and small-cap space? Are the valuations reasonable after the recent correction? What’s your outlook on debt funds? We believe the shorter end of the yield curve, the 3 to 7 year.G-sec rates & 2- to 5-year corporate bond rates are still attractively priced. There is significant protection build up in the current prices. Given the overall expectation of prolonged pause in the interest, we believe the short term segment is well placed to benefit from easing liquidity conditions and lower inflation outlook. The main risk to our view is fiscal slippage and continuous rise in crude oil prices/ US dollar. In line with our optimistic outlook on the short-term space we believe short term funds both high grade & high yield variants can be considered by investors based on their risk appetite. What are the major global and domestic risks that could impact our markets? From a global perspective, we should watch out for any unpredictable rise in global volatility due to policy issues like trade wars escalation, etc. In case of the domestic space any sharp rise in oil prices can be a concern. Overall from a domestic perspective the risk/reward scenario appears to favourable over the medium to long run. Banking sector is on the cusp of turnaround as the worst of corporate credit cycle, asset quality issues seems to be behind. This coupled with faster NPA resolutions and low to moderate interest rate outlook can provide tailwinds to the sector. Within the banking space we believe large universal banks (having meaningful presence in corporate & retail space) which were impacted the most in the NPA cycle are well placed for strong growth. We believe the next few years could see accelerated profit growth as well as expansion in the valuation multiples in corporate lenders.